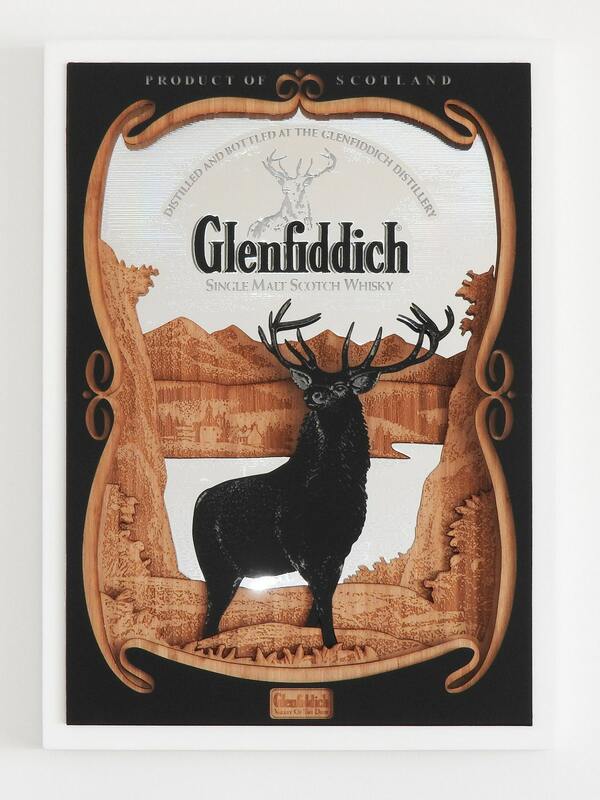 This 3D mirror is based on the design of a vintage bar mirror sign by Glenfiddich, the famous single malt Scotch whisky. 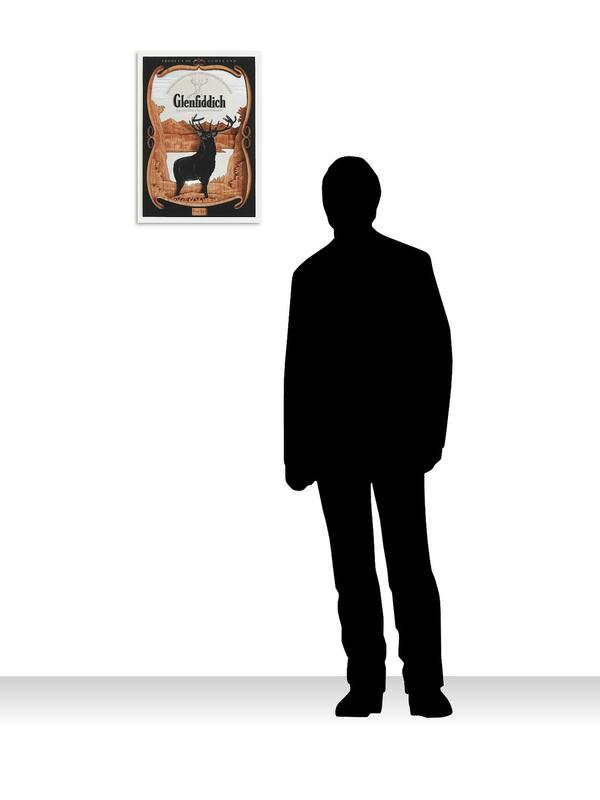 It consists of 9 layers of sheets from mirror, bamboo wood, and acrylic material, and is contained in a white wooden frame. 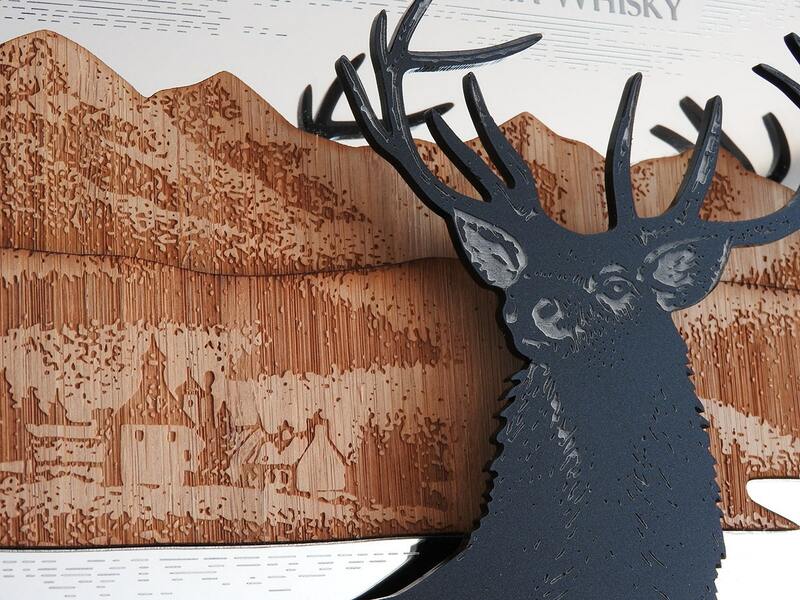 Each layer has been laser cut and engraved with the texture of the original mirror design and has been artfully assembled to create this elegant 3D display. 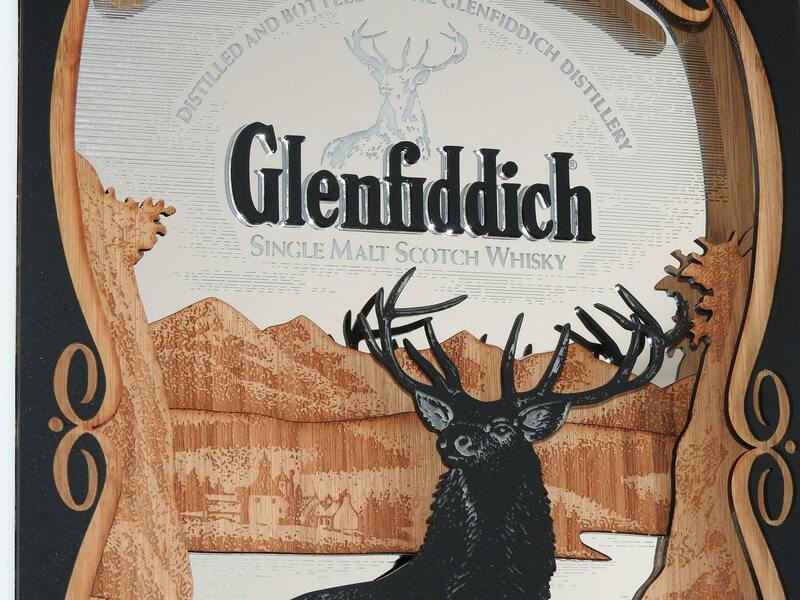 The piece depicts the iconic Glenfiddich deer on a valley background (Glenfiddich literally means “Valley of the Deer” in Scottish Gaelic). 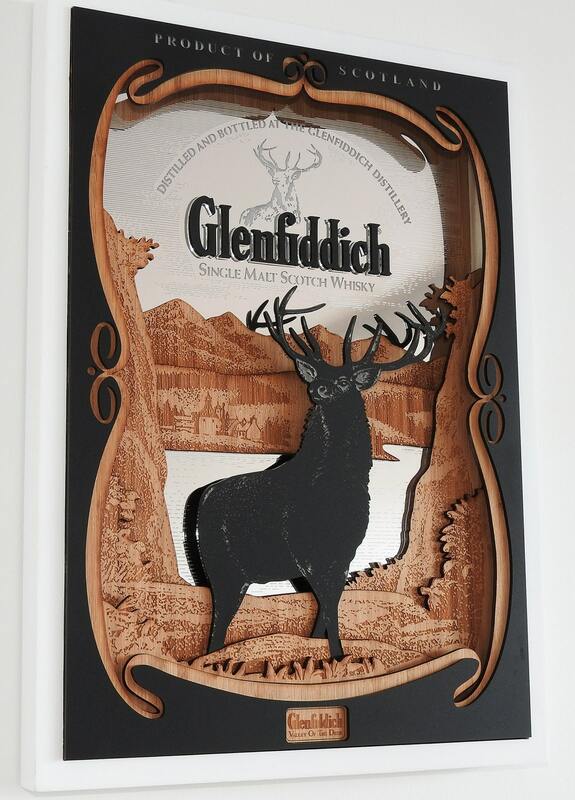 This is an ideal wall decoration especially for a whiskey lover or collector.